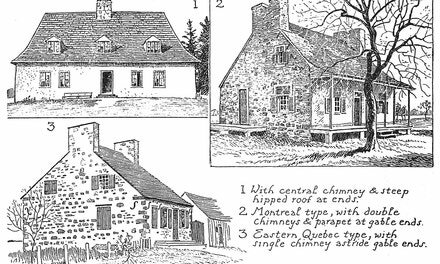 Note that if the chimneys are set at the sides of the gables it shows that the house is divided lengthwise of the building, so as to place one fireplace in the front portion and the other in the rear. 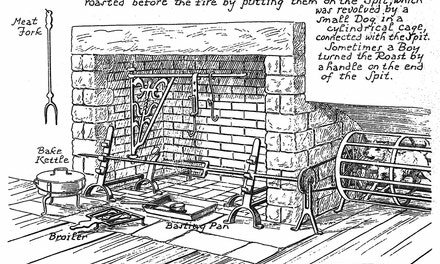 When the chimney is set astride of the gable the house is divided from front to back, with a fireplace midway of the wall at each end. 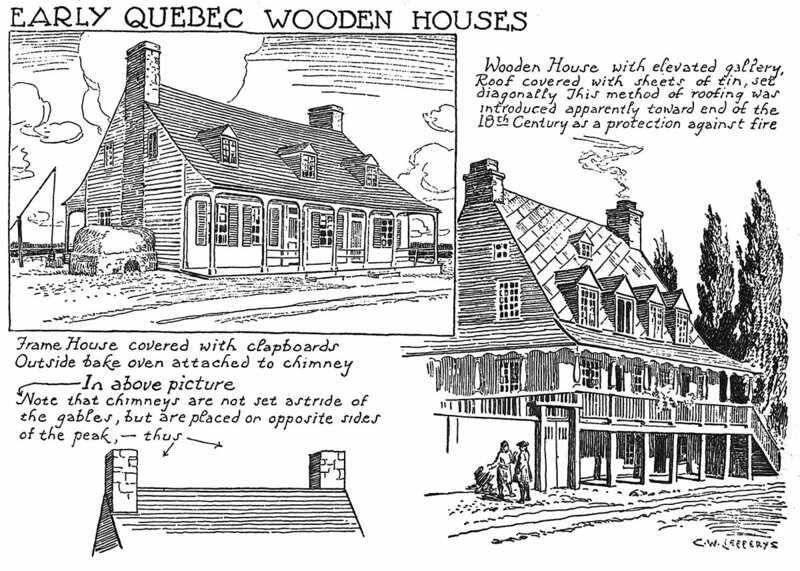 Double chimneys with a high stone parapet extending above the roof were adopted for houses with fireplaces in the upper storey, especially in Montreal and other towns where houses were built adjoining each other. The parapet was intended to prevent the flames from a burning roof communicating to its neighbour. As a further protection the roofs of some houses were lined with stone or mortar, and sometimes the floor of the upper storey was also paved with stone, so that though the attic burned the lower part of the house was spared. Tin covered roofs and iron shutters later added to fire protection. The overhanging curved eaves shed the snow and icicles toward the road, beyond the doorway and footpath.